We have received our first batch of “Do Your Worsted!” owl tee shirts, designed by Megan, especially for the Relay for Life event in exactly ONE WEEK! Your choice of three Peggin’ Pages Patterns from the Gettin’ It Pegged! Artfire Shop with your donation of $10-$20! Please pop on over to this blog post to read all about the nitty gritties of the extra gifties as well as our local group effort. Thank you ever so much! Have a fantabulous Friday! 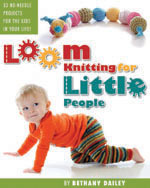 This entry was posted in Charitable Donations, Dailey Occurrences, Family Fun, Free Loom Patterns, Gettinitpegged Gear, Goals, Life, Loom Knitting, Looming Patterns, Peggin' Pages, Product Review and tagged fantabulous, group effort, knitters, style. Bookmark the permalink.